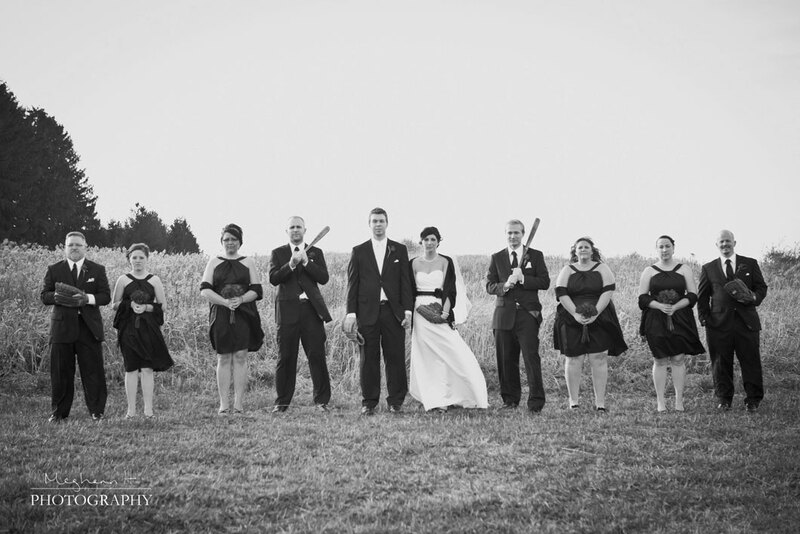 My wife and I had a baseball themed wedding. 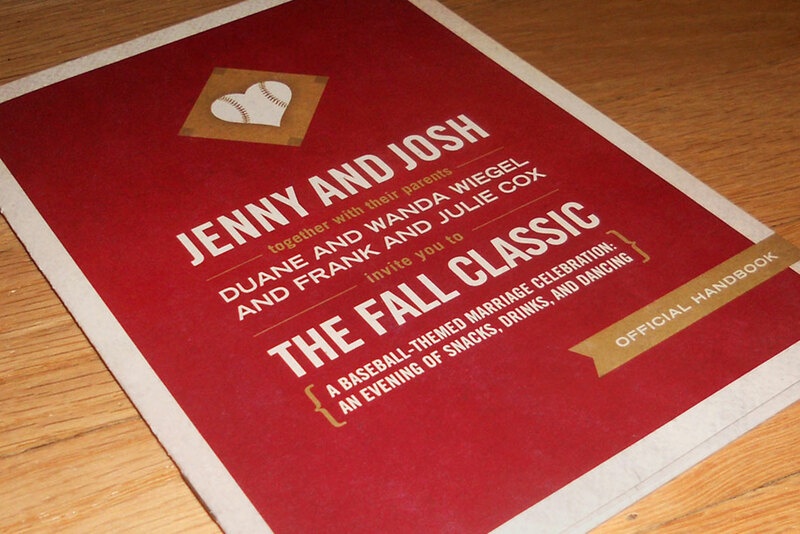 It was nothing TOO crazy, but we did incorporate as much old-time baseball as we could into the design and planning of it. 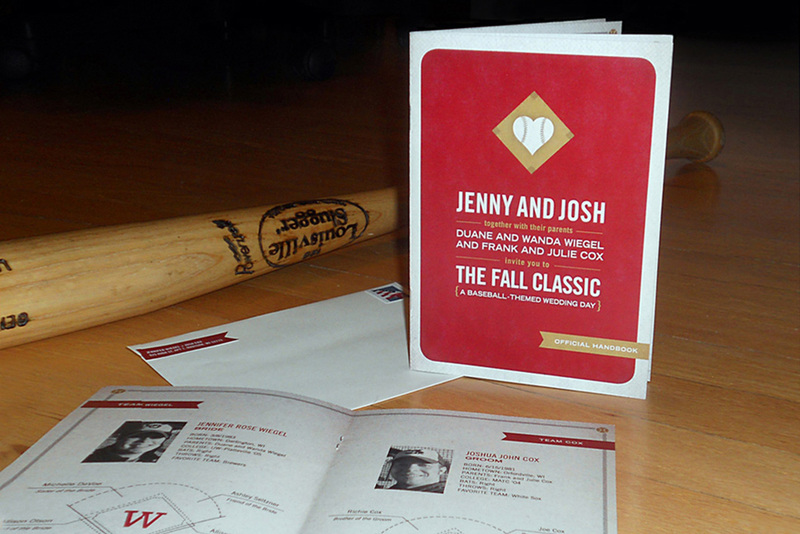 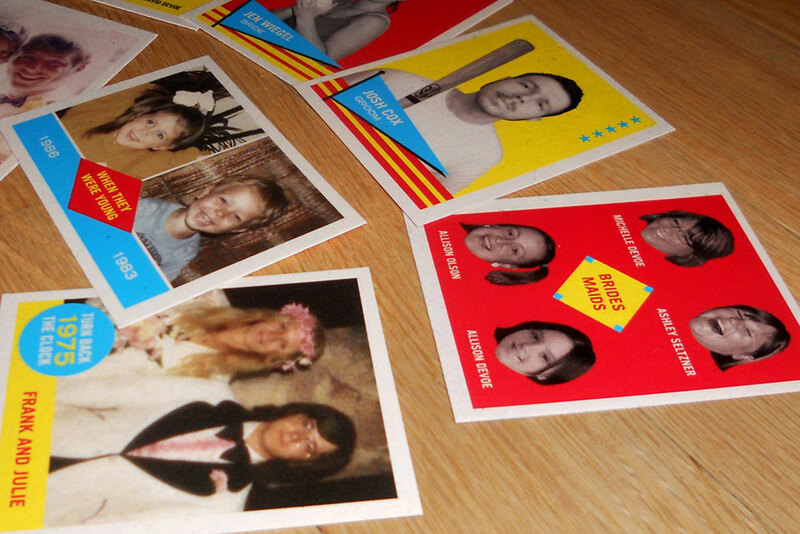 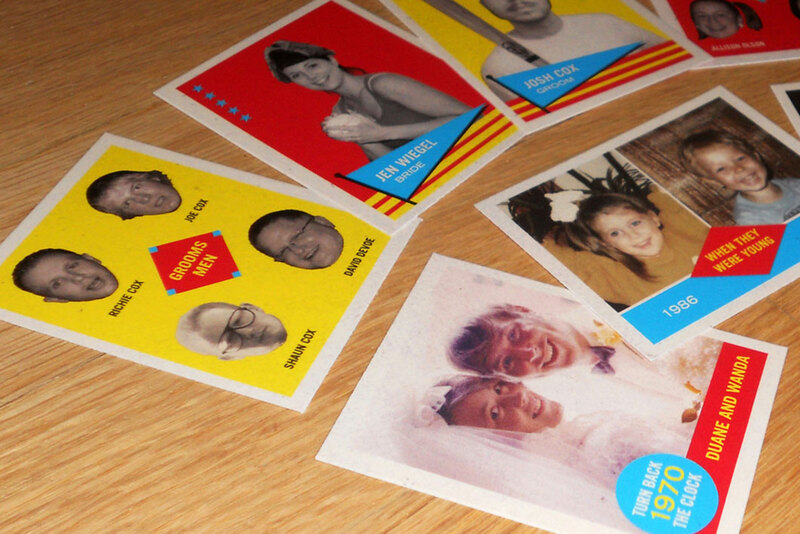 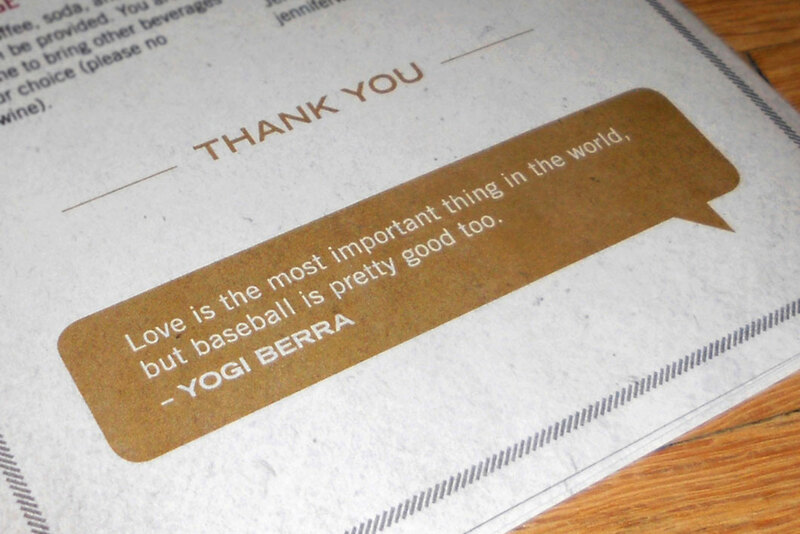 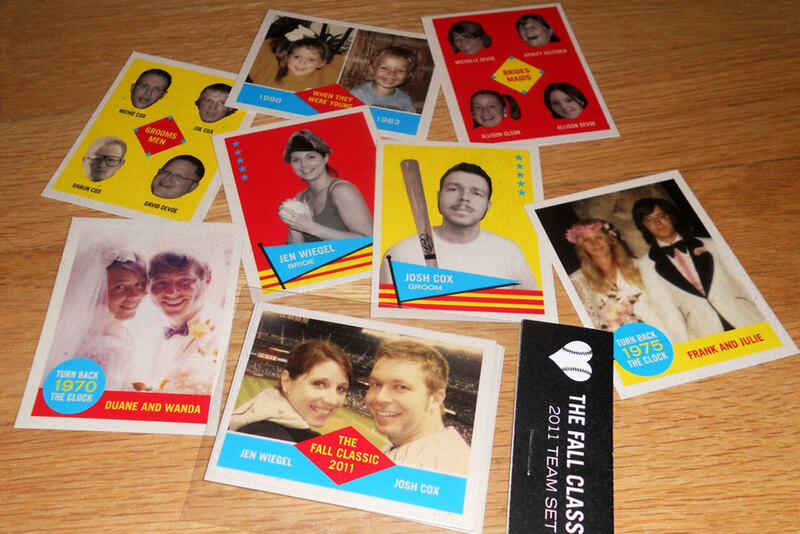 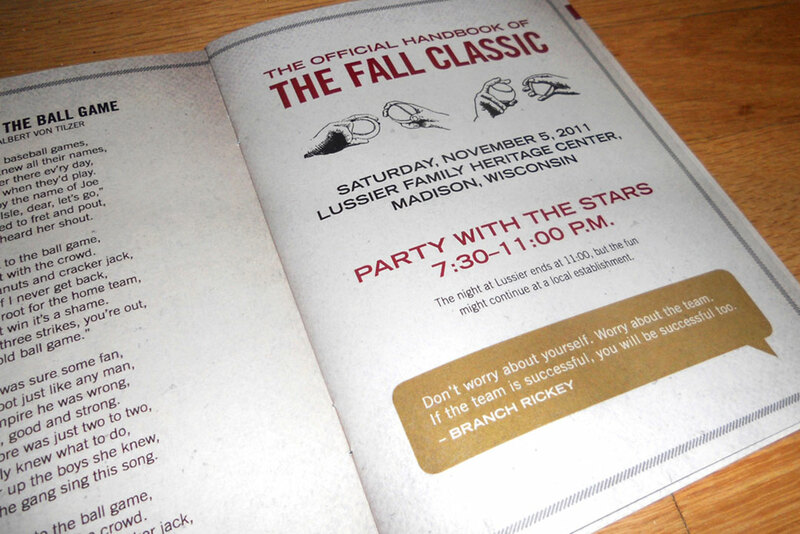 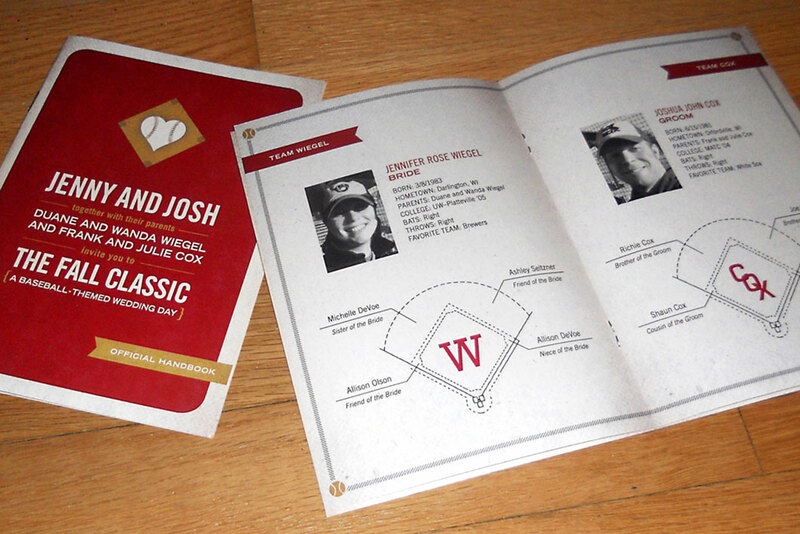 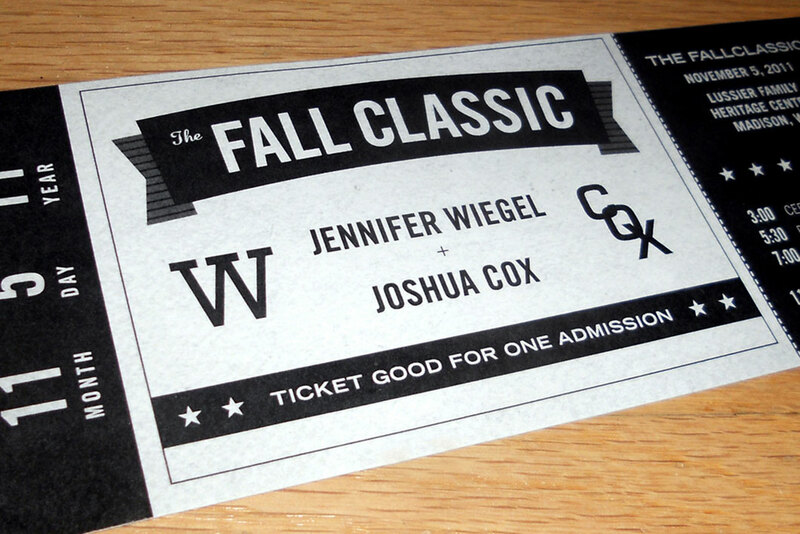 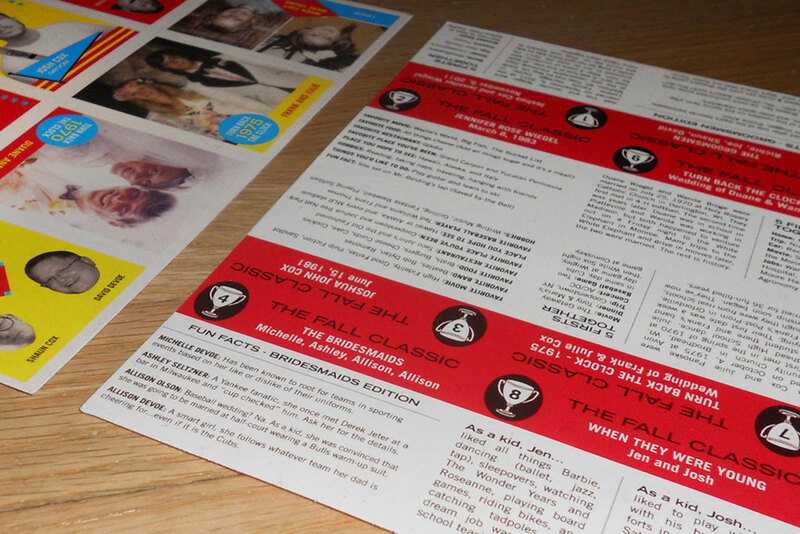 We created scorecard invites, wedding program tickets, and wedding party baseball card team sets. 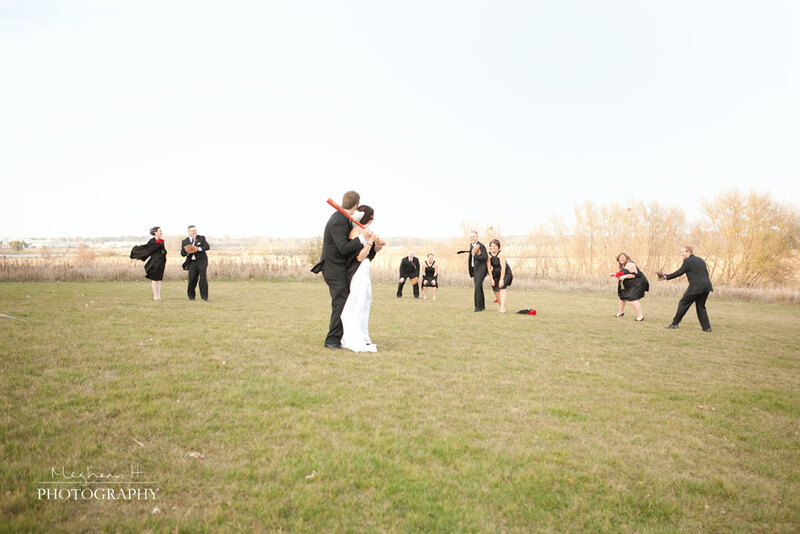 We carried the baseball theme into the ceremony by walking down the aisle to a beautiful acoustic rendition of “Take Me Out To the Ballgame”—based on the version by Bernie Williams, former New York Yankees Center Fielder. 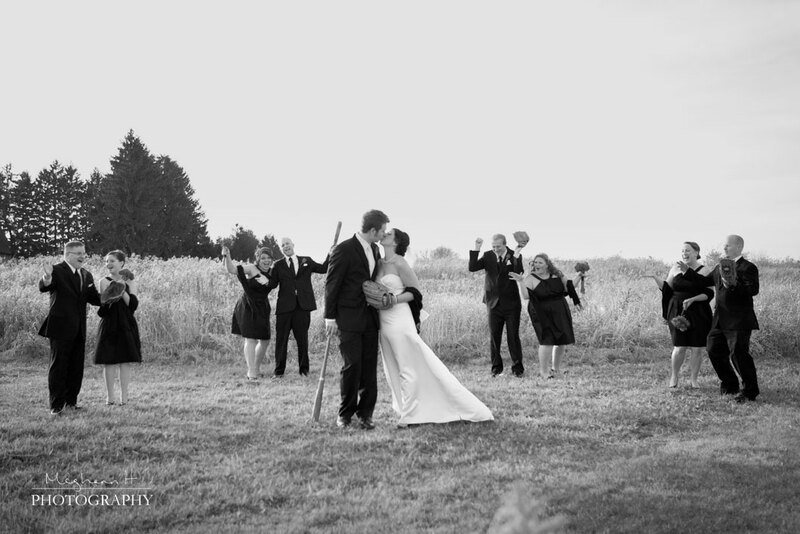 We also LOVED our photographer, Meghann Holverson. 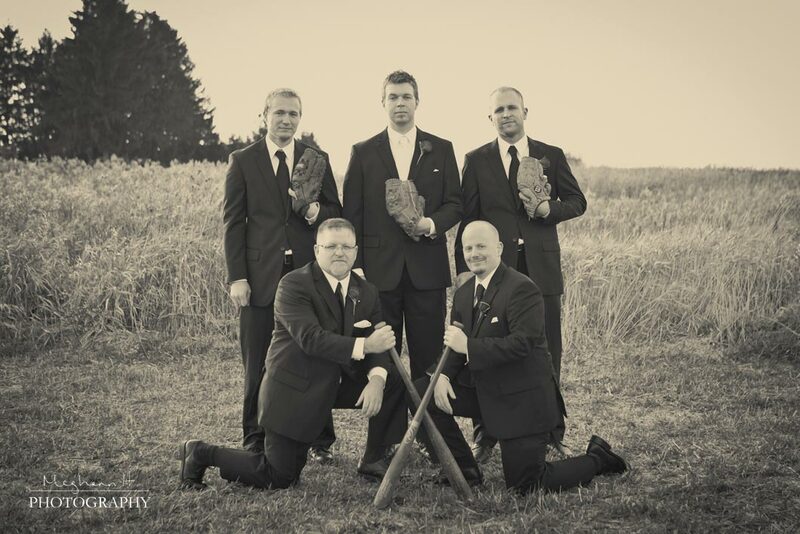 She did a great job at getting some fun baseball themed pics. 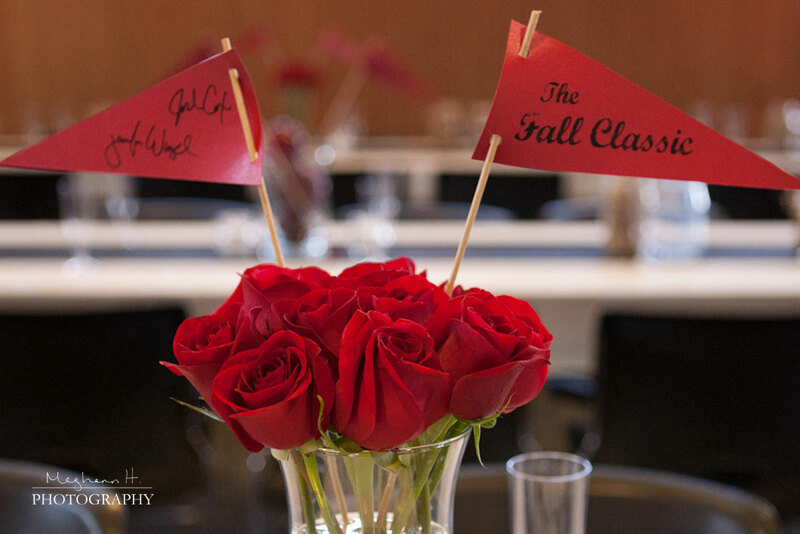 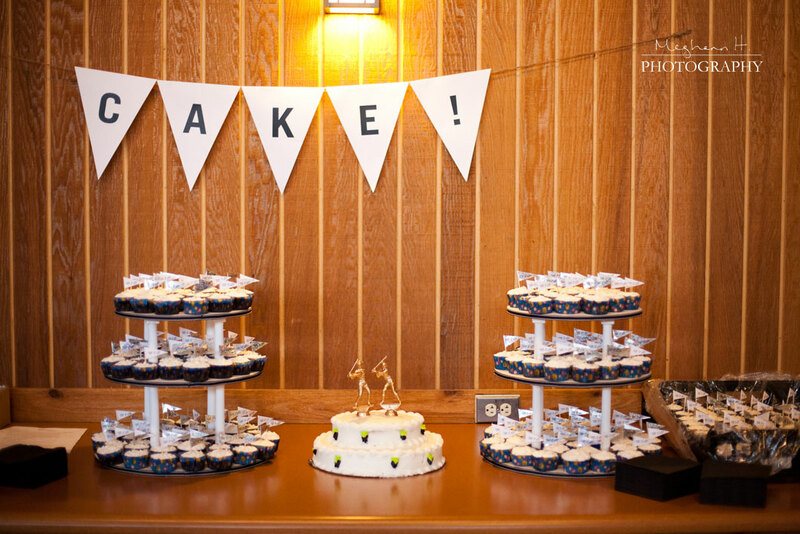 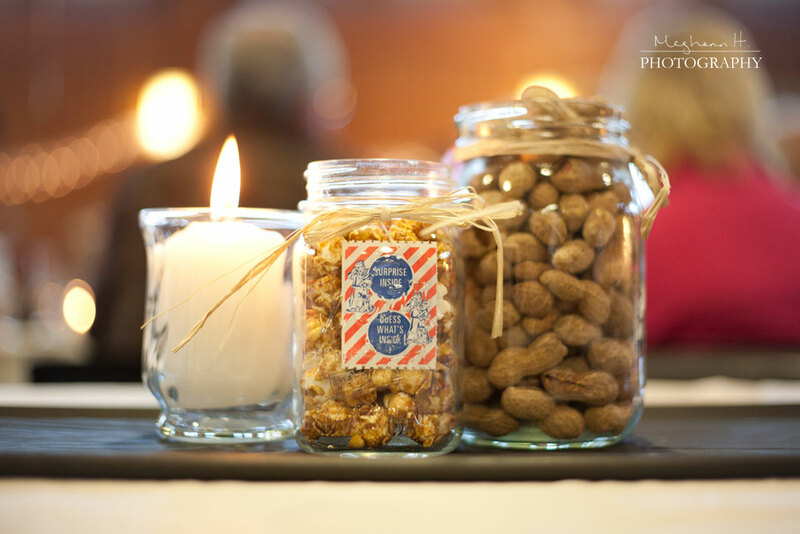 For the reception, we incorporated pennants and peanuts and Cracker Jack into our table centerpieces, had a summer-style cookout for the meal, and a baseball wedding cake complete with trophy toppers.